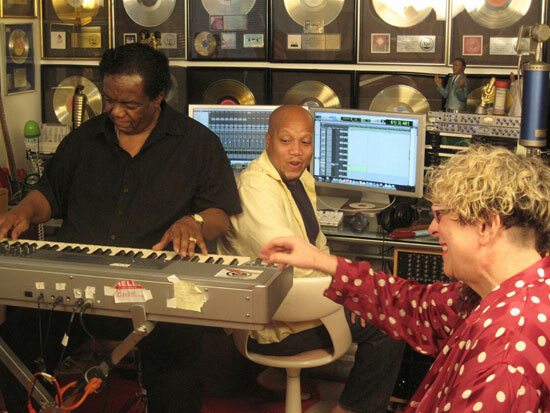 Massive thanks again to all of you who donated moolah to make this truly historic song, video, documentary and collaboration with the people of Detroit possible. As the scale of this project involves tens of thousands of people and a 20 day/ 40+ location shoot, not to mention postproduction and all else involved in finishing the project we are still actively seeking funding. I’ve started another online fundraising campaign at http://www.gofundme.com/3btivk. I haven’t made a big deal about this one. 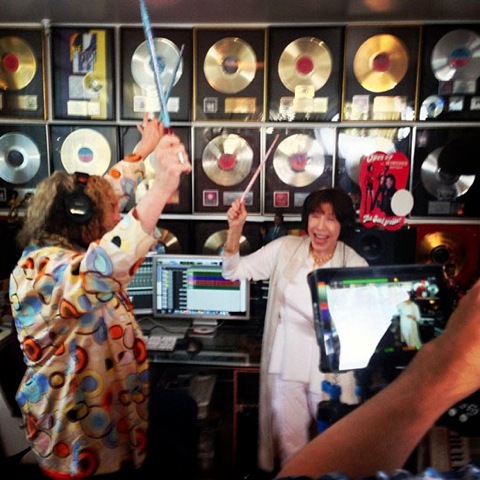 It’s just there for generous souls who want to be part of something truly inspirational. We are also seeking larger donor sponsors and/or angels. You can email me back with any inquiries about that. Thanks to the following locations where we’ll be filming and recording “The D”. 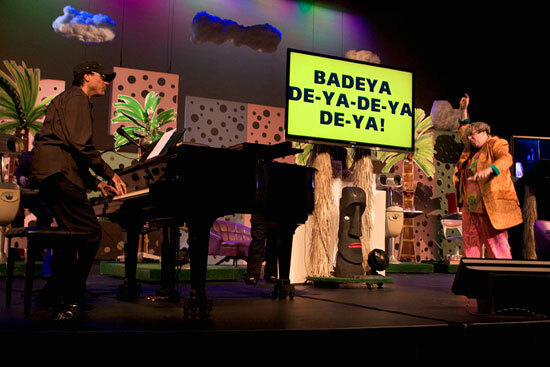 One of the sing-alongs at The Heidelberg Project, Saturday, September 21st at 3pm is open to the public. 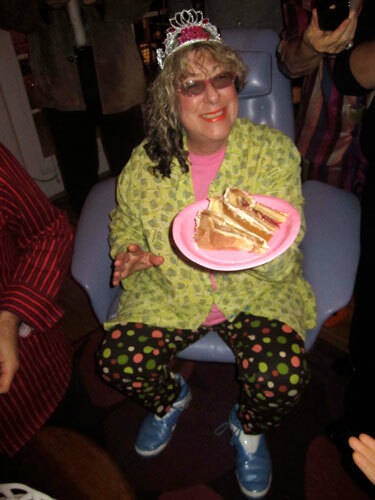 A schedule will soon be published at https://www.alleewillis.com/WeSingTheD/. Now just about all that’s left is to board the plane to Detroit!! 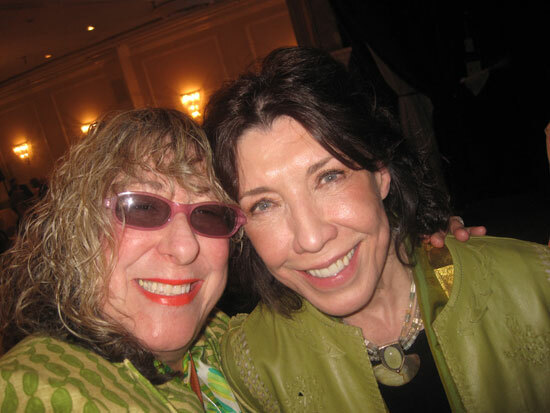 On Friday I had the honor of sitting on the dais and speaking at the Pacific Pioneers Broadcasters luncheon honoring my friend, mentor and sometimes collaborator, Lily Tomlin. 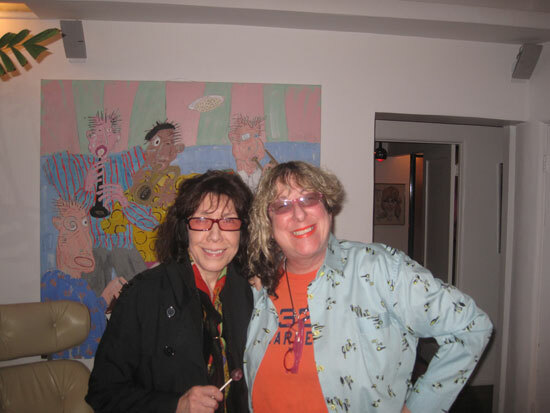 Allee Willis’ Kitsch O’ The Day – Out with Lily Tomlin and RuPaul! Me and Lily are planning our trip to Detroit in April to see the first high school production of my musical, The Color Purple, at her high school, Cass, and my conducting the glee club and marching band at my high school, Mumford. 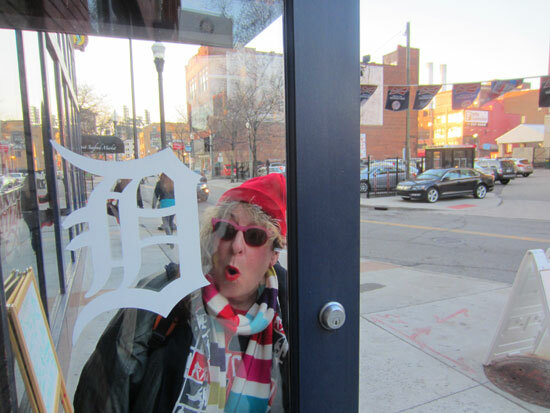 We’re also going to be taking a lot of meetings to figure out something to do in Detroit together permanently. 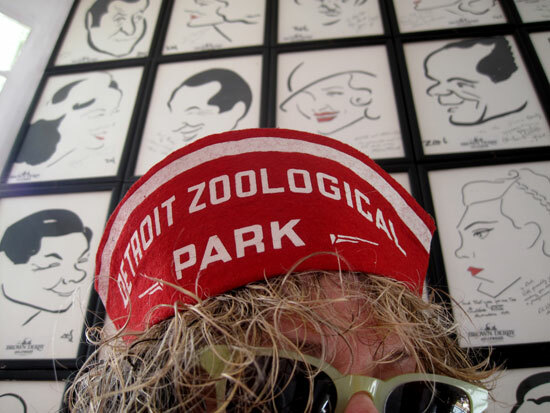 When I grew up in Detroit I went to the zoo on 10 Mile and Woodward at least a couple times a year. Although I got this particular chapeau on Ebay, I’m certain I had one exactly like it as I never went there without something separating me from the sun. I was quite fond of theme hats as a kid. 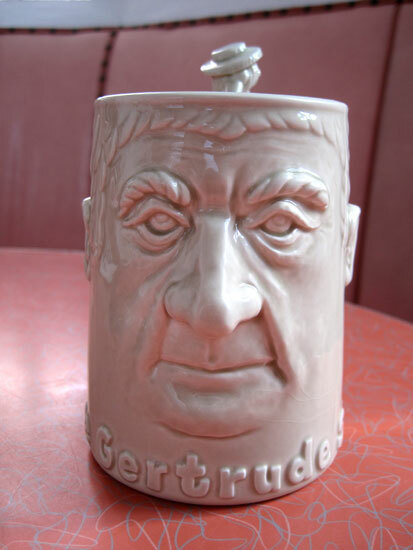 I don’t usually like mugs with serious faces on them but “The Gertrude Stein” mug made by Fitz & Floyd in 1976 is a rare one featuring legendary and first-outta-the-gate lesbian life partners, Gertrude Stein and Alice B. Toklas. Gertrude actually looks like Gertrude while Alice looks like a mushroom person, the kind of poisonously sweet little gnome-like being that ceramicists were somehow infatuated with in the late 1960′s and 70s.